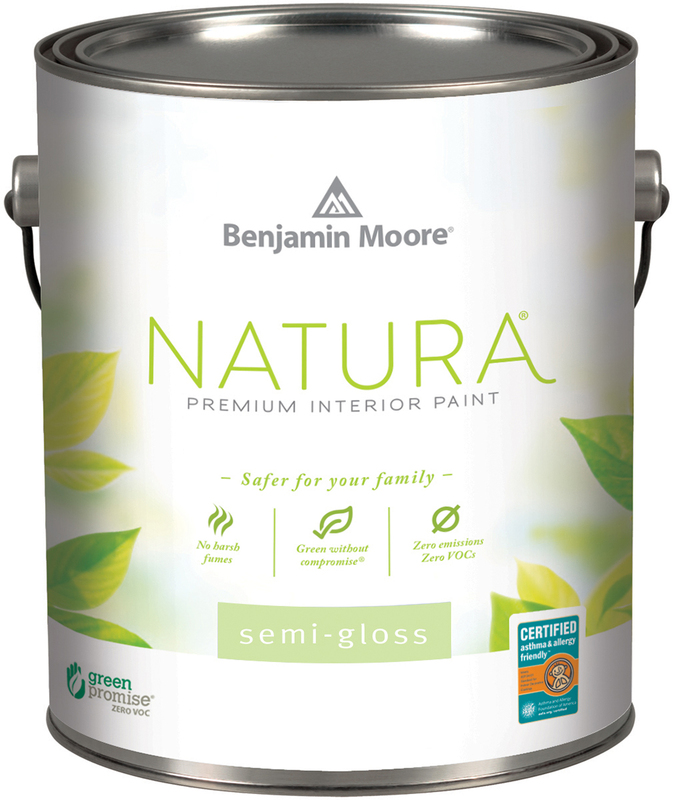 Safer for you and your family and less harmful to the environment, Natura from Benjamin Moore is the perfect paint for people who do not want to compromise on colour or quality when choosing an environmentally conscious product. 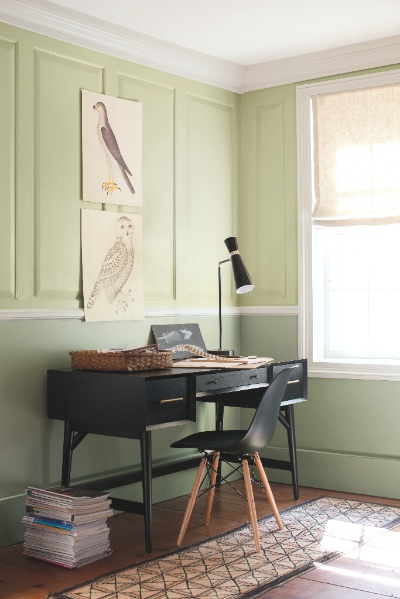 Natura achieves a zero emissions* rating and yet delivers the same flawless finish, exceptional durability and extensive colour choice that has become synonymous with Benjamin Moore. Ideal for people with asthma and allergies, or for anyone wanting to get a room back into use as quickly as possible, Natura is virtually odourless, and, having gained a zero emissions rating*, has been certified as Asthma and Allergy friendly™ by the Asthma and Allergy Foundation of America*. Walls : Wickham Gray (HC-171). Paneling : Distant Gray (OC-68). 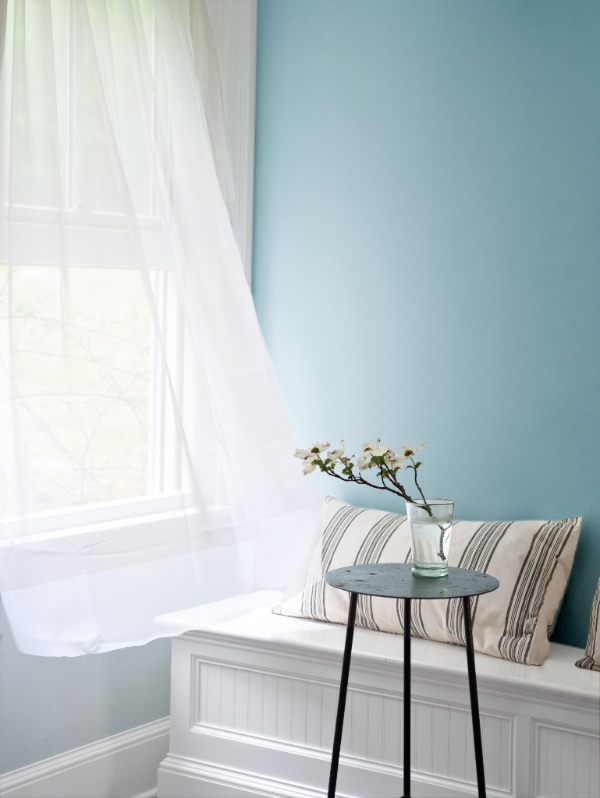 Walls : Wythe Blue (HC-143). Woodwork : Gray Sky (2131-70). 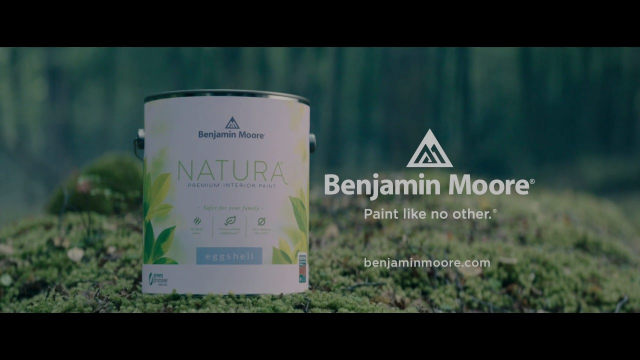 An essential part of delivering the exceptional quality of Benjamin Moore products is the Gennex® colourants used to tint each of the some 3,500 colours in the range. Unlike many colourant systems, Gennex colourants are themselves exceptionally low in VOCs* (Volatile Organics Compounds), meaning even the darkest of shades, with the highest possible level of colourants, retain the zero emission rating and the Asthma and Allergy friendly™ certification. Walls : Distant Gray (OC-68). Ceiling : Constellation (AF-540). Cabinets : Gray Cloud (2126-60). Upper walls : Fernwood Green (2125-40). Lower walls : Urban Nature (AF-440). 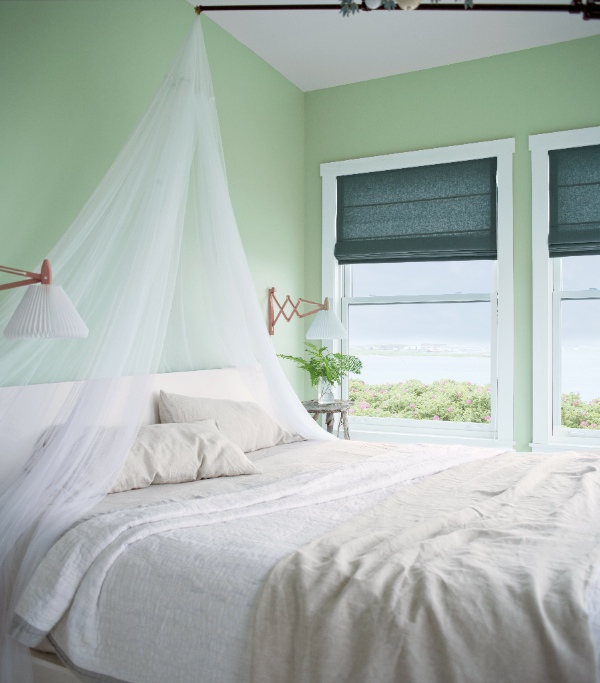 Natura is available in a Flat and Semi-Gloss sheen, so you can paint your whole room; walls, ceilings and woodwork, in this exceptional quality, environmentally conscious product. * Zero emissions - No VOC emissions detected according to CDPH/EHLB/Standard Method V1.1, 2010. The asthma & allergy friendlyTM Certification Program independently tests and identities consumer products that are more suitable for those living with asthma and allergies. For more information about the asthma & allergy friendlyTM Certification Program, please visit www.aafa.org/certified. VOC stands for Volatile Organic Content and is measured in Benjamin Moore products according to the United States Environment Protection Agency Method 24.